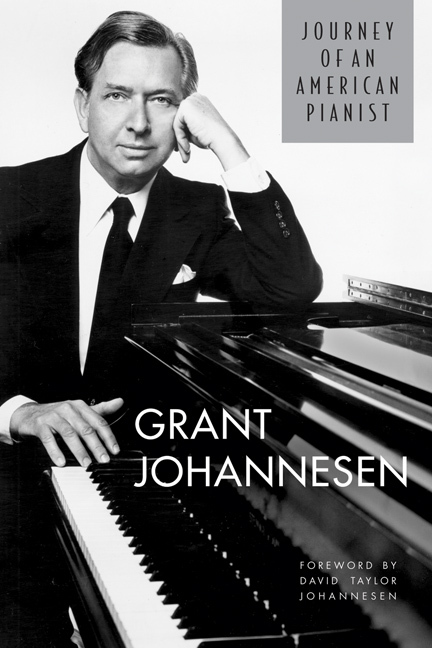 World famous concert pianist Grant Johannesen completed this memoir shortly before his sudden death in 2005. Born in Salt Lake City, Johannesen gives an account of his childhood and education in Utah, his early career and study in Europe and New York, his growing reputation as a pianist, and his worldwide performances. He writes also of his early marriage to Helen Taylor, who died suddenly in an auto accident, his later marriage to the renowned cellist Zara Nelsova, his activity as a teacher and as a judge in piano competitions, and his octogenarian thoughts for the benefit of younger generations of musicians. Journey of an American Pianist presents an extensive examination of Johannesen’s artistic commitment and the importance of certain kinds of training and experience, framed in large part as advice to the young pianist seeking a concert career. At the same time, it has plenty of everyday-living experience, showing what pianists do and think about when they are not actually playing or performing. Grant Johannesen (1921-2005) was one of America’s most distinguished concert pianists and musical educators.